It’s something easily missed, and often taken for granted as we neglect to fully embrace it. Today, I awoke to a new morning and a new day. I’m thankful to have received the gift, and thankful to have noticed it. While that may sound overstated and aggrandized at first blush, if we pause for a moment to really consider it, if anything, it’s an understated and under-appreciated truth. It is something incredibly important to remind yourself of — especially if there are any ongoing struggles, tough surrounding circumstances, mistakes and stumbles that’ve been made, conflicts, disappointments, or other troubles impacting life, and if you feel grey, dreary, and disconnected from the beauty of life. Remember, today is a new day. This moment is a new moment. You’ve received a gift and a good thing. While external factors that are out of our control are in motion, we are gifted with a fresh moment to interact with those externalities and our own internal workings in a new, refreshing, and positive way. This is a new opportunity to embrace life and be the you that reflects who you are inside. There is no need to carry the baggage of the past internally; it only weighs you down. While you may have to face consequences of the past in the present, you have the ability to control how you interact with those consequences and how you influence the consequences to be realized in your future. If you embrace your present moment like you choose all the facets of it, you can change how you feel about it, and live in a more positive, happy way. Today is a new day, and there are endless opportunities awaiting your infinite potential. Happiness and a positive outlook are awaiting your embrace. Today is a new day, and this moment is a new moment. Embrace this rare and precious gift. 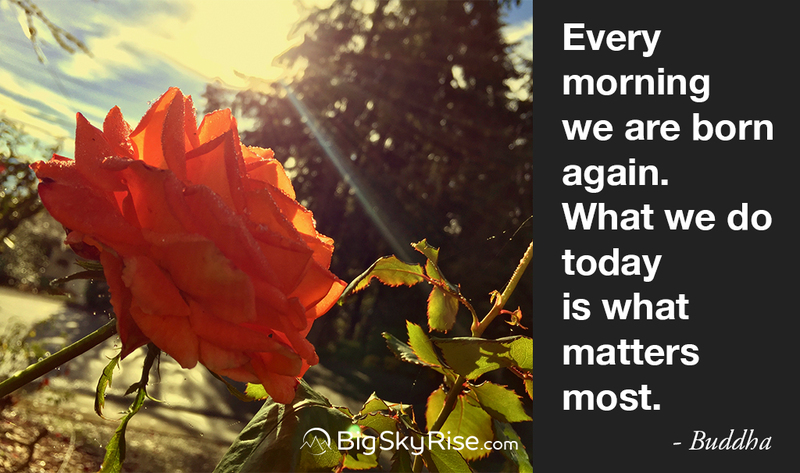 Embrace today as a new day. This moment is a new moment. It is a chance to reset. It is filled with spaciousness, happiness, and a world of infinite opportunities.